as well as in major cities like Prague, Warsaw, Krakow, Budapest, Bratislava and Lvov. 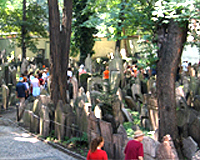 Legendary rabbis such as the Maharal of Prague and the Rema of Krakow; literary figures such as Franz Kafka and Bruno Schulz; scientific and philosophical masterminds such as Albert Einstein and Sigmund Freud all were nourished in the unique cultural milieu of Central European society. Students who enroll in the Jewish Studies Program spend the majority of their time living and studying in Prague, but also spend two weeks in Krakow and two weeks traveling to other regional cities, including Warsaw and Budapest. They explore the full gamut of Jewish life in Central Europe by experiencing history first-hand: by walking the streets of former Jewish ghettoes, studying the cultural and religious landmarks of Jewish existence, and quite literally by following in the footsteps of European Jewish civilization. Prague alone, with the oldest continuously-used synagogue in Europe as well as several synagogues, cemeteries and Jewish municipal buildings, provides a unique laboratory into European Jewish life. Krakow has preserved not only its synagogues, but also many of the streets and buildings where Jews lived for centuries. The Jewish Studies Program integrates field trips into all aspects of its curriculum and emphasizes personal encounters with the cities themselves. Explorations in several cities throughout the region, both in groups and on individual assignments, will make Jewish history come alive. Students take 12 - 15 credits during the semester. Students may take additional credits at a cost of 175 EUR per credit. II - The Modern Period. in addition to the two required courses. All program courses are 12 weeks in length (42 lecture hours - 3 credits).